Let Croton Sailing be your guide on a Lifetime Sailing Adventure! Croton Sailing School’s Basic Hands-On Sailing course is designed to give you the foundation you need to become a confident day sailor. This two day course offers 12 hours of Hands-On sailing instruction aboard a 24′ Rainbow. During the course students will learn to rig and de-rig their boat, sail to their destination using all points of sail, return to their mooring and utilize all safety procedures necessary to enjoy a pleasant day of sailing. Our program emphasizes Hands-On experience so you learn to sail while you are sailing. Classes are limited to four students per instructor on our 24′ Rainbows. Scheduling: Offered every weekend through the season: Saturday and Sunday 9:00 AM to 4:00 PM. Mid week classes: Thursday and Friday 9:00 AM to 4:00 PM. $425 per person. American Sailing Association sailing text Sailing Fundamentals included. 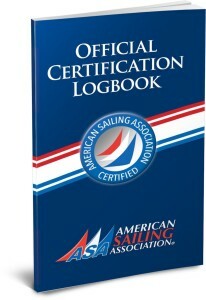 American Sailing Certification available. Practice Sails are a unique aspect of Croton Sailing School’s learn to sail program. These popular sails allow you to use your new skills while sailing with other graduates under supervision of a Croton Sailing School Instructor. You decide what aspect of sailing you want to practice and the instructor will assist you, helping you build confidence and experience to handle the boat on your own. The practice sail can be scheduled after the completing any Basic Hands-On Sailing course. Practice Sails can also be taken as a refresher course for the rusty skipper, or by any sailor who wishes to sail in the company of others. Scheduling: Offered Sundays 9:00 AM to 4:00 PM and Fridays 9:00 AM – 4:00 PM. $150 per person. This three day course offers 18 hours of Hands-On sailing! Basic Hands-On Sailing, plus a full day Practice Sail. After your Basic Hands-On program you will be prepared to take the tiller on your own sailing adventure aboard one of Croton Sailing Club’s 24′ Rainbows or a yacht of your own. Scheduling: Offered every weekend through the Season: Saturday and Sunday 9:00 AM to 4:00 PM. Mid week classes: Thursday and Friday 9:00 AM to 4:00 PM. Practice Sails scheduled separately. $495 per person. Save $80. When you register for Basic Hands-On Plus sign up for Basic Hands-On and at checkout choose session option: Basic Hands-On Plus. American Sailing Association sailing text Sailing Fundamentals included.